Be careful of scammers, we have not commenced screening exercise FRSC Warned Applicants. They share the below information on their Facebook page today. 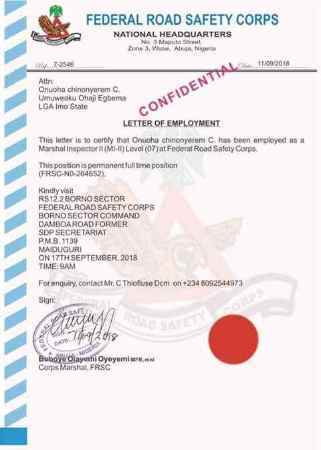 Our attention has been drawn to a fake employment letter currently in circulation. Please note that the process of screening exercise in FRSC has not commenced much less issuing employment letters to applicants. The process shall be adequately publicised in due course. Be careful of swindlers .